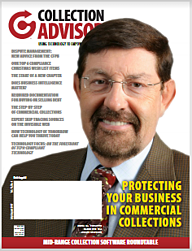 In the July/August issue of Collection Advisor magazine, InterProse enjoyed recognition from Nick Jarmon, a collection industry advis or and heavyweight in the push to modernize the industry. 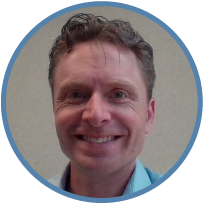 Jarmon has been a consulting advisor to many collections agencies through his RightAway Consulting firm and is a frequent contributor to Collection Advisor, penning many articles for the bimonthly publication. In an article titled, How Technology of Tomorrow Can Help You Thrive Today, Jarmon champions the idea that effectively communicating with consumers has rapidly changed from traditional phone calls since the mass adoption of caller ID in the 1990's. As a new generation of consumers presents unique challenges in preferred communication channels, Jarmon states that the collection industry must "get smart, be creative and leverage technology." The technologies Jarmon showcases in his article are electronic communication methods like voicemail drops from VoApps and text messaging from Solutions by Text, two third-party service providers that are API-integrated with InterProse's debt recovery software platform, WebAR. Jarmon dedicated an entire paragraph to The InterProse Corporation's patented Virtual Agent Collector, an avatar-capable, web-based collections platform that he referenced in his article as, "the most sophisticated virtual agent on the market [that] interacts with consumers just like a live face-to-face conversation except the consumer can do everthing on their own time and, in most cases, their own way." Receiving recognition from debt collection industry insiders and advisors is very exciting and means the work and commitment we put into our accounts receivable collections software is making a difference to our customers. InterProse is on the leading edge of innovative communications methods, providing our customers with modern ways to reach customers and help them resolve their accounts in the safest, most compliant environment possible.